Merlot Verdelho Residences offer a luxurious, indulgent and romantic accommodation experience in the historic town of Penola South Australia – gateway to the Coonawarra wine region. Merlot Verdelho Residences are ideal for couples seeking a private, peaceful and romantic getaway. And with the added benefit of a discrete interconnecting passageway, both Residences can be opened up for group bookings of up to twelve guests. 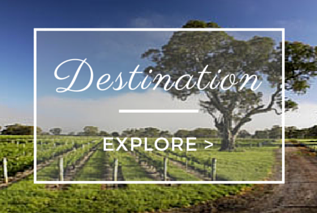 Merlot Verdelho Residences are ideally located in Penola town centre. Walk to restaurants, shops and cafés. Coonawarra is renowned as one of one of Australia's finest wine regions and is particularly known for producing world class red wines. When you book directly with us, your reservation provides us with more of the resources necessary to deliver you the perfect getaway. This is why we guarantee you will always find the best and fairest prices on our website, or by calling/emailing us directly.